What is it about the shape of a barn that calls to us? That whispers “come in…sit…you’re home”. 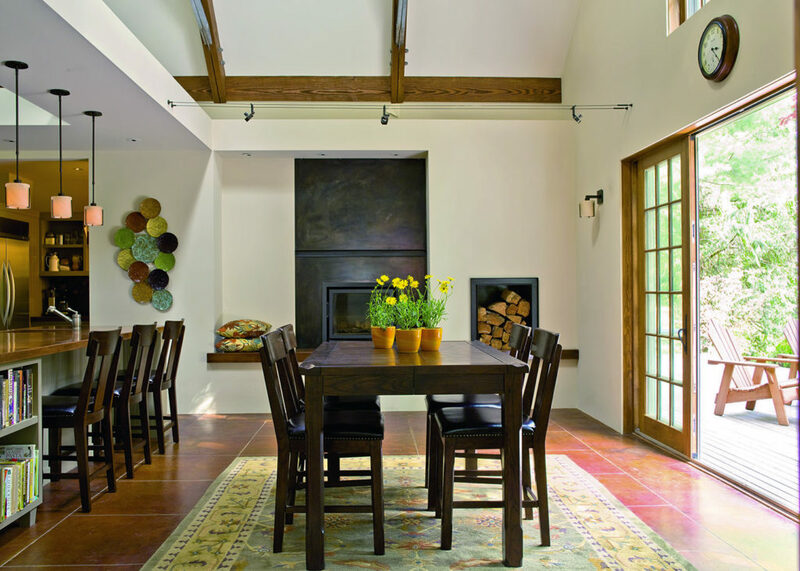 That’s what we see in this little gem of a rustic barn house from Johnson Squared Architects. 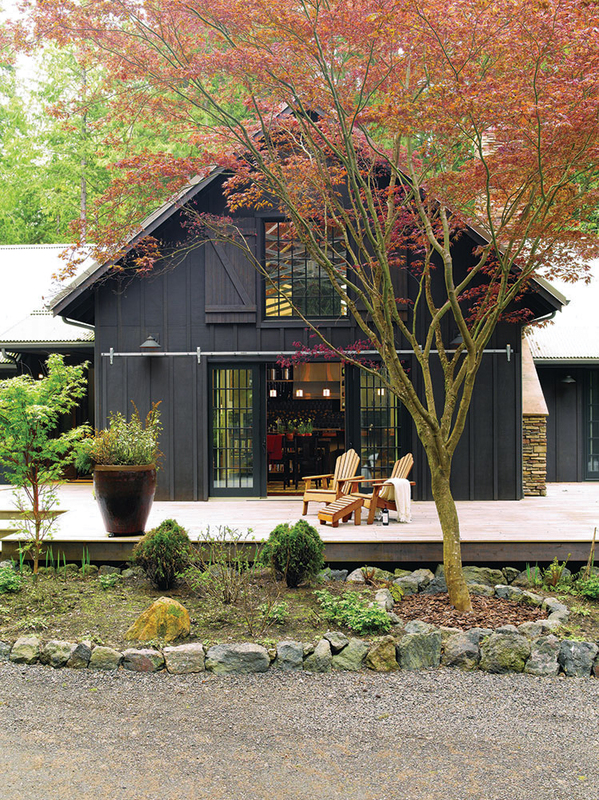 Outside, the board and batten siding, the corrugated steel roof, the board shutters and the dark paint combine to give this home a soothing and serene appeal. The big wrap-around deck, at the same level as the house floor, lets the space inside flow effortlessly outside. Inside, things change a bit, where the lines are clean and modern. 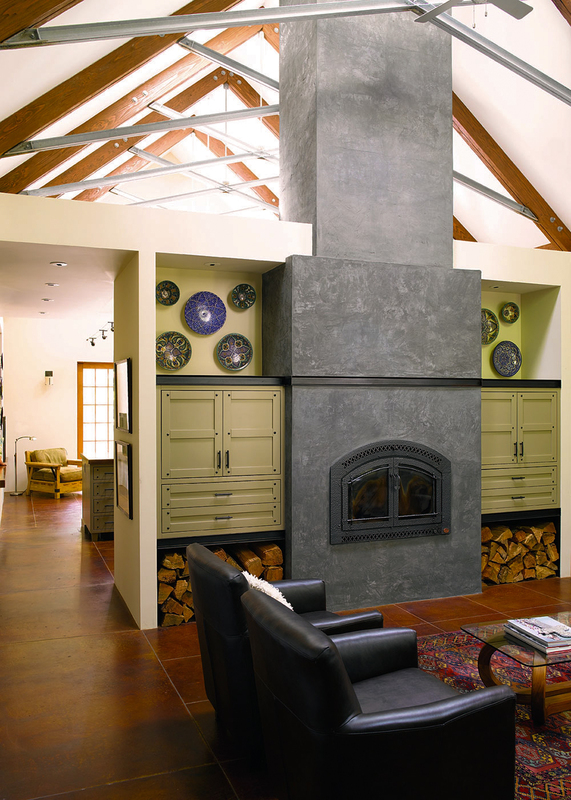 The unique galvanized steel fireplace enclosure and steel trusses remind us that this is basically still a barn, but there’s still a homey warmth here! 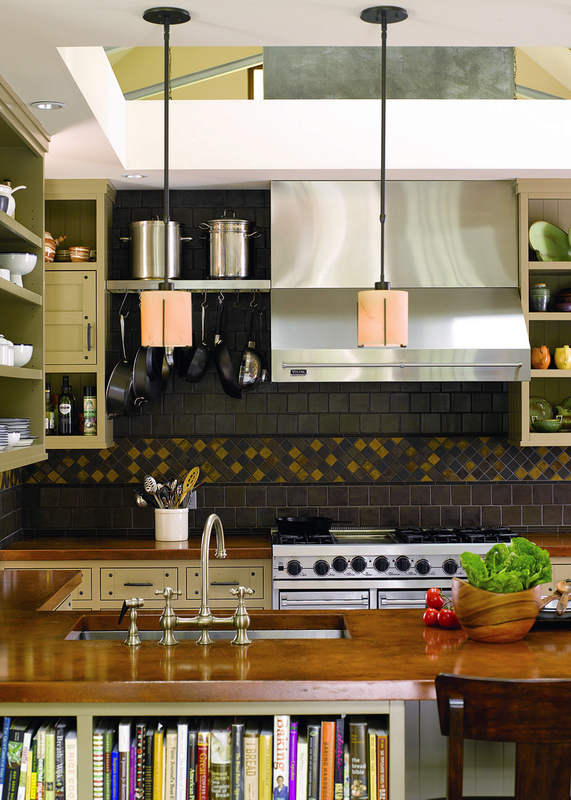 In the kitchen and casual dining area, the modern aesthetic is still in play, while custom cabinets, hand-made backsplash tiles, and colored concrete countertops give the home warmth and serenity. 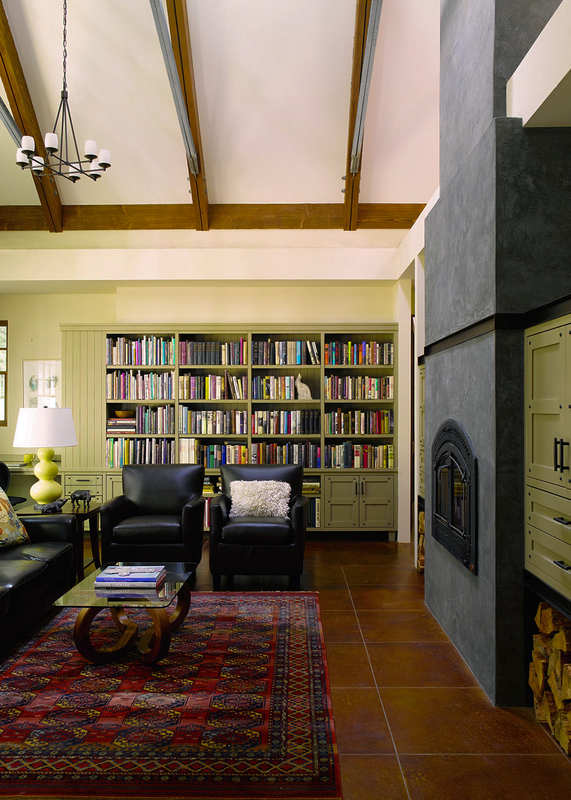 We love the built-in log holders, warm-colored tile floors, and the open, bright ceilings. 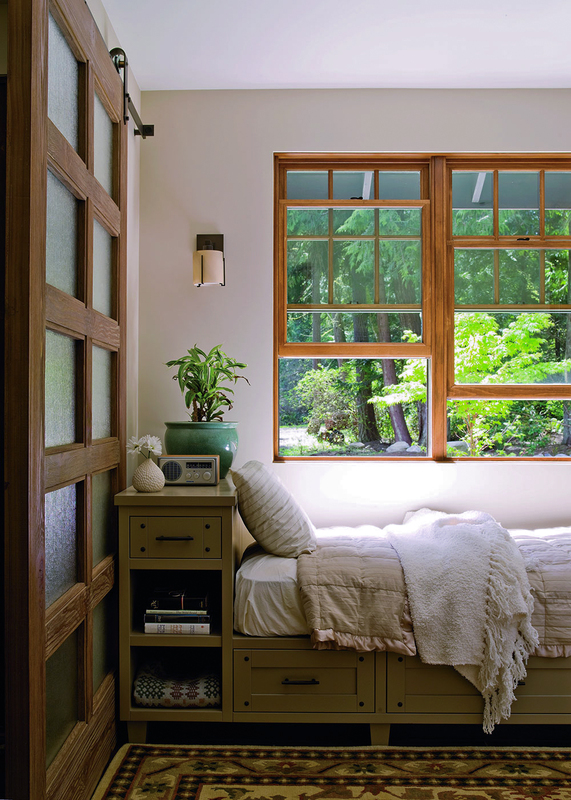 This bedroom shows a couple of neat tricks we like – the bed built into a storage unit is a space-saver, and putting the bedroom door on a barn-door track make more space available in the room. You’d sleep well in this rustic barn house!